Since February 2018, it is possible to book an appointment with a French speaking nurse practitioner. 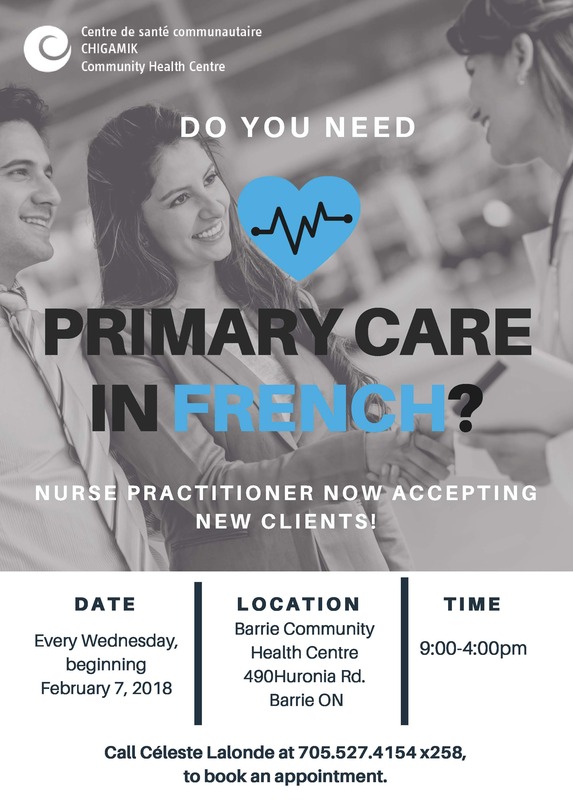 CHIGAMIK Community Health Centre is pleased to announce that Nicole Ayotte, Chigamik’s Francophone nurse practitioner (NP), is now providing primary health care to Francophones at the Barrie Community Health Centre. Call Céleste Lalonde at 705.527.4154 ext. 258, to book an appointment.